In this article, you will learn how to fill the Amazon section. Scroll down to the Amazon section. Select the account which you would use for listing. Amazon ItemID Type – You can add items using the ASIN, ISBN, UPC, EAN or the NEW option to create an item that’s not existing on Amazon. Click the “Pick” button to bring up the Amazon Catalog search. 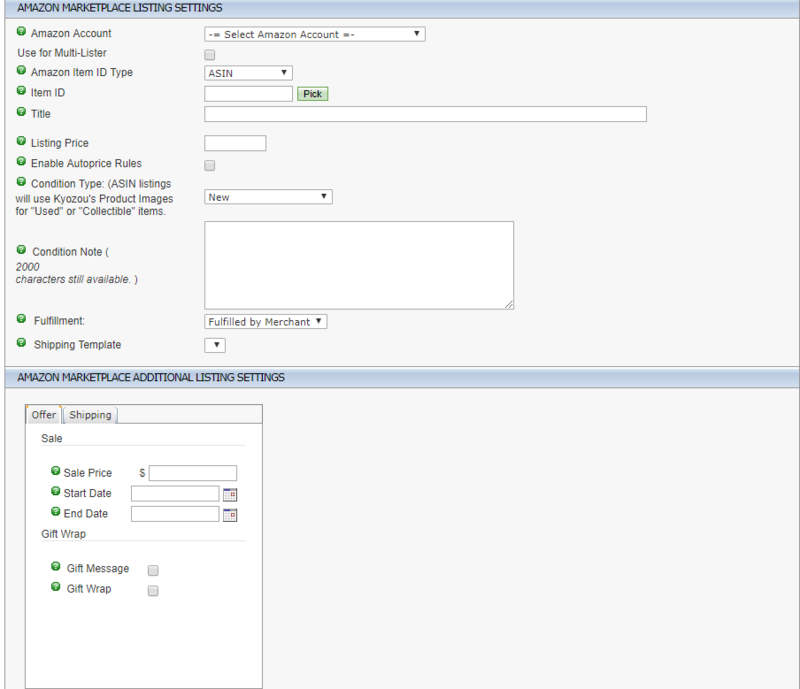 Input value in the search field and click “Search” to look for products. 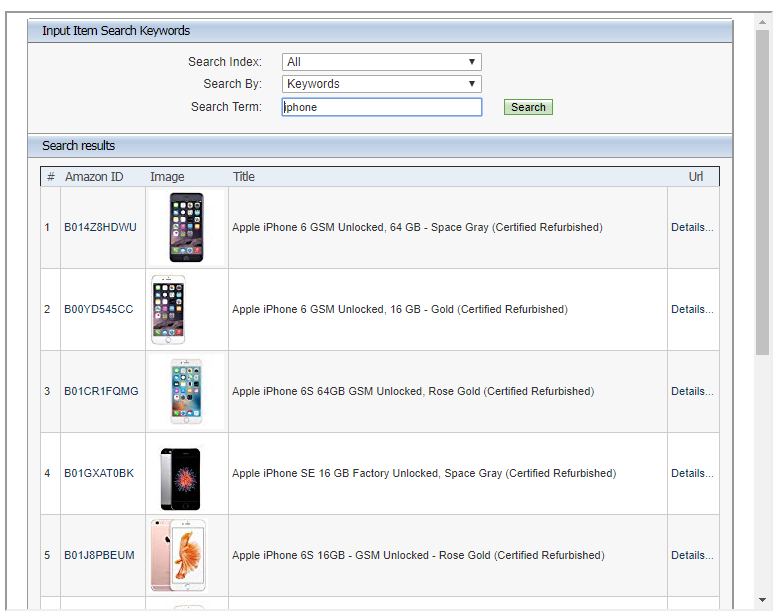 You can search by using “Search index” and look for products in particular categories (see the picture above). When you find the product, click on the product title and it will get populated in the product automatically. You can also check the full description of the product by clicking the icon under Details header (see the picture above). The description will open in a separate tab. Title: This will get filled automatically when you choose a catalog product or else enter your own title(not mandatory for existing ASIN). While you can enter your own title, it is NOT going to be sent to Amazon (this is for internal purpose). ONLY the catalog title will be used (see the picture below). Listing price: Specify your listing price (see the picture below). Enable Autoprice Rules: Check this to enable auto pricing for Amazon. This option is to compete with the other Amazon sellers by making your listing price lower than others from time to time. Click on this Link to get more details (see the picture below). Expedited Shipping: Please provide a list of all expedited shipping options that you offer for this item. A list includes any combination of the following: Next (One day), Second (Two day), Domestic (Domestic Expedited), International (International Expedited), Plus (Faster Expedited Domestic: 1 to 3 days. Eligibility based on performance.) These are the ONLY shipping settings for Amazon (all other shipping settings are configured directly through Amazon). Fulfillment By Merchant: This means merchant is responsible for shipping. Such products will be processed and shipped in Kyozou. Fulfillment By Amazon: This means that amazon is responsible for shipping. Such products will not be shipped from Kyozou.